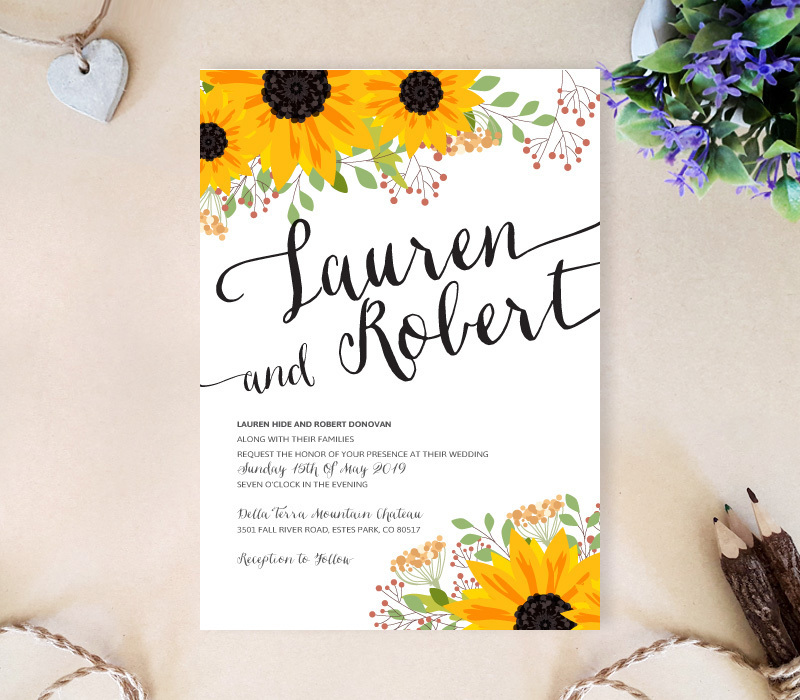 Your rustic wedding wouldn’t be complete without your friends and family, so invite everyone you know with our Sunflower Wedding Invitations. 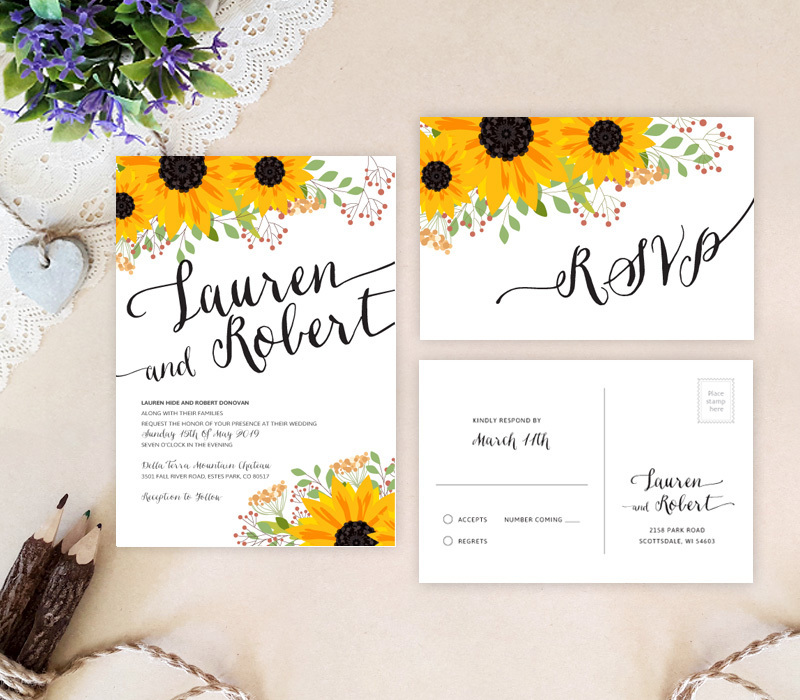 Our delightful invitation sets will inform your guests of your wedding details in an unforgettable manner. 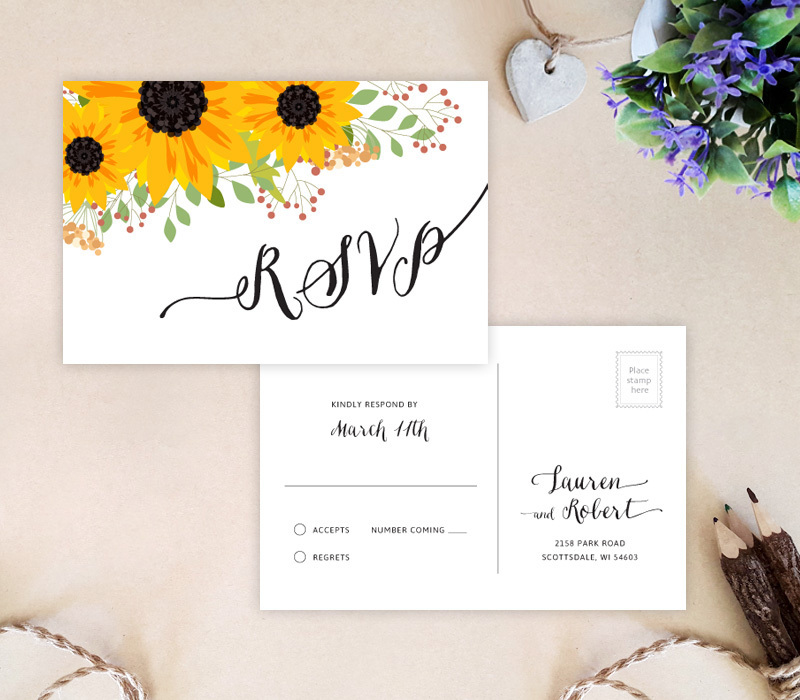 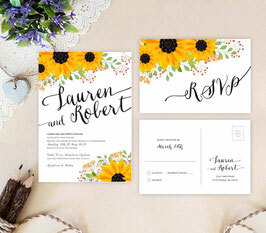 This set features wedding invites and RSVP cards finished with striking yellow sunflowers and romantic style calligraphy.